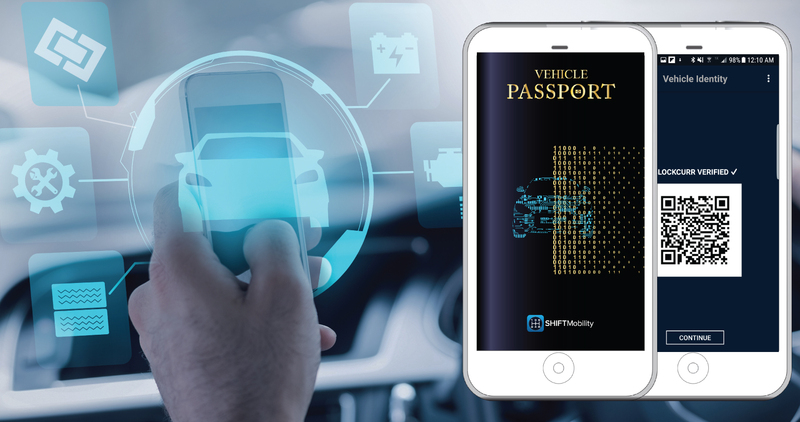 SHIFTMobility Launches Vehicle Passport, the Industry’s First Blockchain Application for Car Ownership that Delivers Rewards for Every Mile Driven - ShiftMobility Inc.
REDWOOD CITY, Calif., Oct. 02, 2018 — SHIFTMobility Inc. (www.shiftmobility.com), the leading provider of blockchain powered connected shop solutions, announced today the release of Vehicle Passport. Vehicle Passport creates a digital identity for any vehicle that can be used to track service history, transactions, and real-time events. Vehicle owners need no longer depend on the often-incomplete service histories provided by previous owners or third parties. The app stores everything from transactions to sales deed, title, insurance, proof of ownership and receipts, which drivers can make instantly available to dealerships and service centers to ensure they have the products and services when and where they need them. Consumers can also easily order and pay for replacement parts and services for using SHIFTMobility Auton digital tokens. Vehicle Passport empowers businesses and customers to engage with one another in a transparent and trustworthy manner from the time of vehicle purchase through its maintenance lifecycle.